Review: Emotional Rescue returns to the Caribbean with the music of Glen Ricks and his infectious Jamaica meets Boogie goldmine that is I've Been Waiting For You. A performer since the age of 7, Glen Ricks (born Ricketts), established a reputation for his singing range and ability to seamlessly shift from tenor to soprano, going on to sell over a million records around the world. Having immigrated to Canada as a child, after teaming up with his first band The Fabulous Flames Ricks returned to Jamaica to create his first records. Moving effortlessly from reggae to lovers, and dancehall to soul, R&B, disco and boogie, Ricks established a successful career and he continues to perform to this day. I've Been Waiting For You is indicative of that cross-pollination of style and sound. 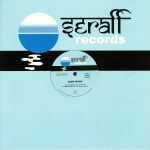 Released on 7" in 1983 on the short lived Seraff label, the mix of Ricks' soul voice with laid back boogie groove creates a sound full of lazy JA swing. 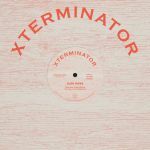 Now highly sought after, this special 12" reissue includes the stand out vocal and is backed with an instrumental that builds on the interplay between bass, drums, piano, guitar, keys and finally, backing vocals. To seal the deal - and in true label style - LA's rising star DJ Duckcomb presents the perfect Discomix, seamlessly cutting between both versions with some respectful dubbing in the mix.